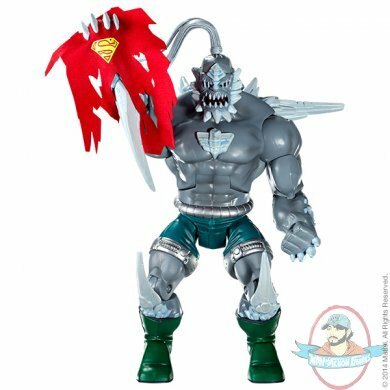 Doomsday appears as he did in the best-selling DC comic of all time, Superman #75, where this menace from the stars killed the Man of Steel. This fully articulated figure stands 9” tall and in scale to the 6” tall Superman™ figure. He includes the shredded cape of Superman™, which is removable, and arrives in huge window box packaging celebrating the completion of the 6” DCU Signature Series line.